To Purchase any of these resources, please contact Trumpets of Zion. Please visit http://www.trumpetsofzion.org/contact/ for contact information. 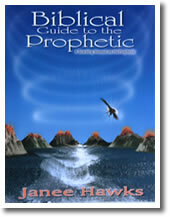 Janee HawksProphecy is the navigator in the five fold gifts Christ gave to the church of Jesus Christ. Along with the Apostolic it is to be the foundation of building His Kingdom. In a war the air force would be greatly hindered if there were no navigators on board to encourage that the directions are safe and to warn of enemies in site. Without any navigators, many disasters would occur that could be avoided. Whether we like it or not, the church is in a midst of a war and needs navigators just as desperately as the air force.The prophetic ministry has been greatly misused and abused in the church and fear and reproach seems to accompany it. While this attitude and opposition seems to exist with regard to prophetic ministry, few consider how many teachers have seriously misled many believers into seducing doctrines without any opposition at all. In contrast, Jesus was the greatest prophet of all and He led his disciples to live prophetic lives. The spirit of prophecy is the testimony of Jesus Christ so this manual and the accompanying course will train believers not only to understand the gift of prophecy but to live a prophetic life. The manual and the accompanying course reviews what the Bible has to say about all areas and levels of the prophetic and teaches believers to grow to greater levels of hearing the voice of the Lord and doing His will. This is critical for all believers that we might participate in His Kingdom coming and His will to be done on the earth. Please note that a class on Prophetic Ministry is also available to accompany the manual. If you are interested in becoming a part of a class hosted by Trumpets of Zion or having this class come to your ministry please contact Janee Hawks at info @ trumpetsofzion.org. 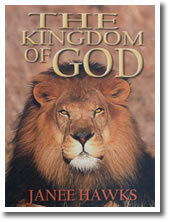 Janee HawksThe pure gospel of Jesus Christ is the gospel of the Kingdom of God that He preached, taught and demonstrated, and then sent the Holy Spirit to empower His church to do the same. The Holy Spirit is the governor of the Kingdom who lives with us and in us to empower us. He alone can impart this new culture, the language, the government, power and agape love of a new Kingdom to us. The Holy Spirit only can secure in us the commonwealth, and unity of one King.The church must serve and steward the theocracy of Jesus Christ organized and protected by the revelation of the Holy Spirit. This is foundation and we add all the truths Jesus and His Apostles taught to form the full house of God. The Kingdom starts within us. It is righteousness, peace and joy in the Holy Spirit. It must be solid, mature, full and running over within us first before we can release such power as Jesus and the apostles did and even greater as He said. This is the greatest need for any culture today. We, of all races and nations must transform to the character of the King and the culture of the Kingdom of God. Jesus is coming back soon to set His Kingdom up on the earth and the whole earth will be filled with the knowledge of God as the waters cover the sea. It will not be the church of just much religious activity but rather the church in obedience to God’s covenant and on fire with a constant abandoned love for the Lord that will carry the presence and the power of His Kingdom to this world now.Please note that a class on The Kingdom of God is also available to accompany the manual. If you are interested in becoming a part of a class hosted by Trumpets of Zion or having this class come to your ministry please contact Janee Hawks at info @ trumpetsofzion.org. 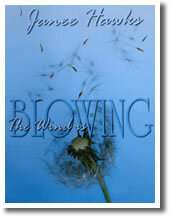 Janee HawksWhen the wind blows you cannot see it but you see the effects of that wind. It brings a transition of many things. It can be destructive to whatever is not on a firm foundation. 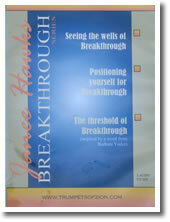 It brings the rain, some storms, it shakes, bends, and blows many things to a new locations. God’s wind is blowing for change. He is shaking all that does not glorify Jesus and build His Kingdom. Make sure you are firmly planted on the Rock of the Ages and moving with the wind of the Holy Spirit.